When I first informed my kids that I will bring them for a vacation in Vietnam, they were really excited and happy. They cannot contain their excitement the day before our scheduled flight and on the day itself. They were so excited when they packed their things and "baons" for that particular trip. I could see smiles on their faces as we get board on the plane. They were really excited as they have seen from the itinerary that I've prepared that we're going to see a number of theme parks and historical places at Hoh Chi Min City. As a mom, it is indeed an accomplishment to be able to treat your kids for a much awaited vacation. I cannot describe my happiness even if it means spending quite a big amount of money. After all, no amount of money can match the happiness that we had during our bonding moments. OO nga eh, super cool! This was May of last year lang. They have stayed there for 11 days, I guess. Uy ang saya naman talaga nyan. Kelan to? How was the vacation? You're a truly admirable and loving mom! I'm done with your badge here. Email me soon. sent the code in your email already. Yes Rovs, kaya nga I made it a point na parati kaming may quality time together! You have lovely kids sistah. Adults and children alike love to travel! Visiting from Happiness is. Whahh...ang bilis ah. You're really great! Thanks a bunch. Mwahhh!! awww! 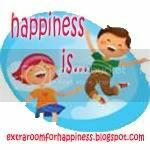 that plane ride is very exciting Sis, looks like the kids are excited for their Vietnam trip too :-) Visiting from Happiness is, hope that you can return the visit too. It's always a delight to have quality time with family, much more traveling with them! I enjoy being with my family in new places and trying out new dishes!